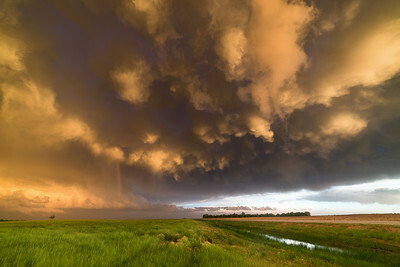 A spectacular sunset and pair of rainbows east of Dodge City, KS, contrast with the damaging tornadoes that had just ravaged the area an hour earlier on May 24, 2016. 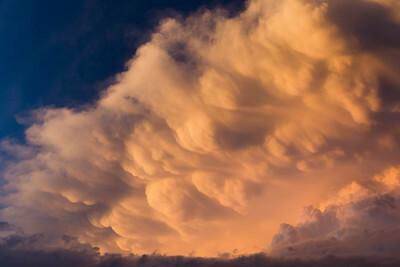 Pronounced mammatus clouds accent the sunset behind intense supercells near Liberal, KS, on May 24, 2015. 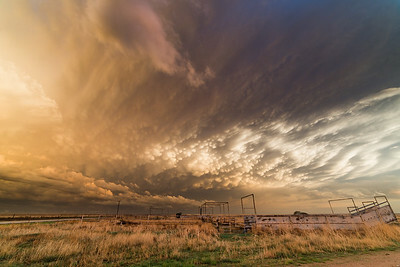 Pronounced mammatus clouds are brilliantly colored by the setting sun behind a supercell near Groom, TX, on April 11, 2015. 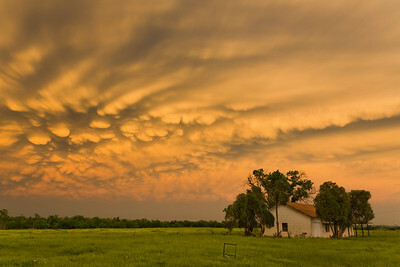 Pronounced mammatus clouds are illuminated by the sun as it dips below the horizon near Adrian, TX, on June 6, 2014. 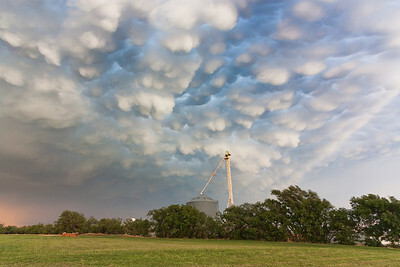 Brilliant mammatus clouds dominate the sunset over a feedlot near Adrian, TX, on June 6, 2014. 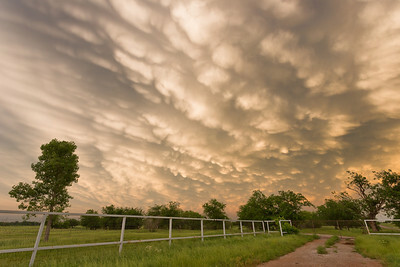 Beautiful mammatus clouds blanket the sky at sunset near Wayne, OK, on May 20, 2013. 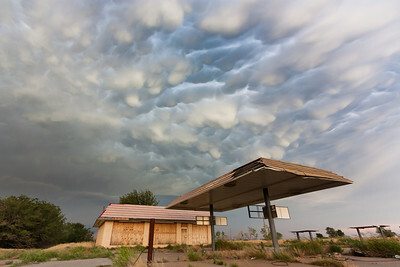 Just hours earlier, an EF-5 tornado had ravaged nearby Moore. 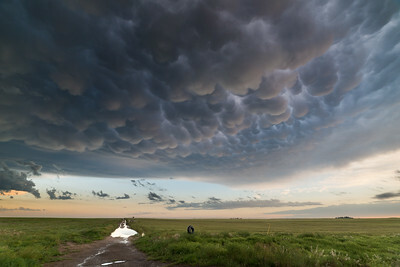 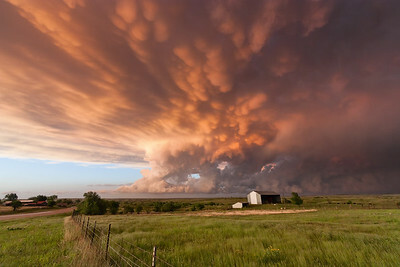 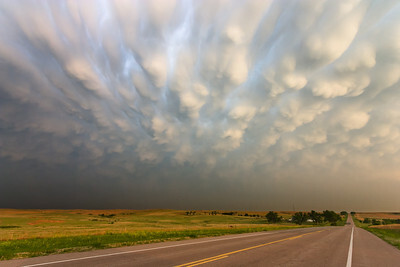 Impressive mammatus clouds loom ahead of an approaching supercell near Clinton, OK, on May 19, 2012. 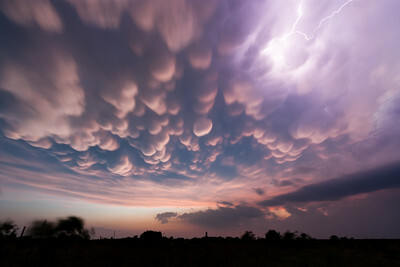 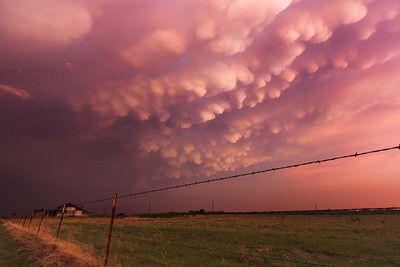 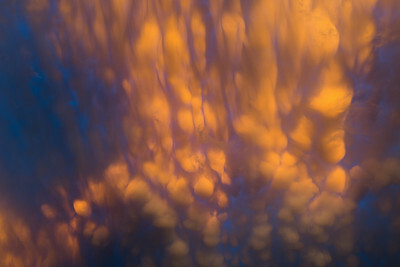 Mammatus clouds make for a spectacular sunset behind severe thunderstorms near Henrietta, TX, on April 22, 2011. 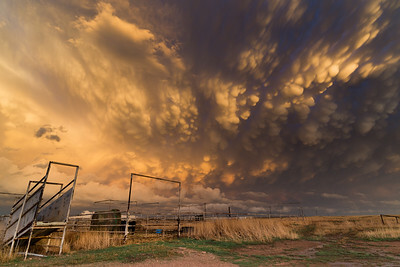 A colorful sunset beneath mammatus clouds graces the Texas Panhandle near Shamrock on May 12, 2009. 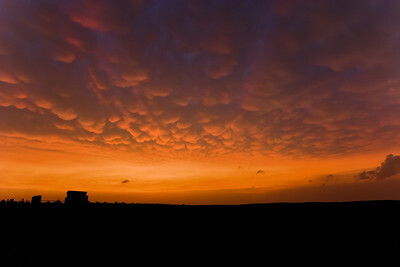 Pronounced mammatus clouds blanket the sky at sunset near Coldwater, KS, on May 22, 2008.